A table lamp inspired by hot air balloons and those lanterns that float off into the sky. Taking a different approach with table lighting, Kutarq Studio designed the PUMP TABLE LAMP for Woud with a low height making it ideal for shelving or even a desk or window ledge. The two-part design was inspired by hot air balloons and those lanterns that float off into the sky. 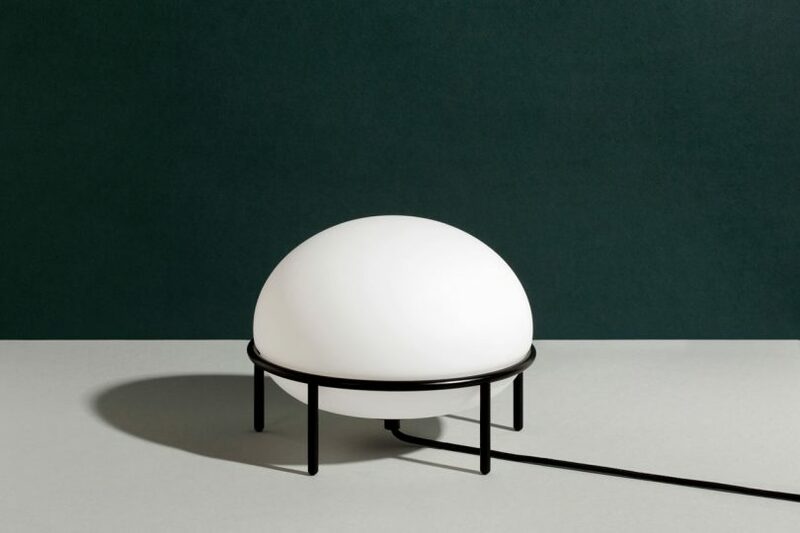 An oblong glass globe rests within a black tubular steel base giving the appearance of it levitating off the ground, like a lantern. The globe’s opal appearance emits a soft glow making for a pleasant ambient light.